Over the past several years, virtual worlds have become increasingly popular. Virtual worlds are no longer sources of amusement or recreation—they are now fully functional communication and networking tools. 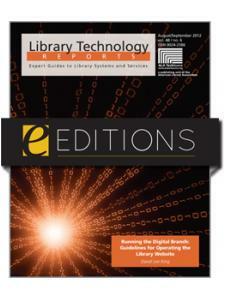 In this issue of Library Technology Reports, Tom Peters helps virtual world novices and experts alike learn about the key issues and opportunities available for libraries, library-related organizations, and library users. 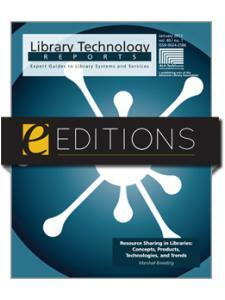 This Report discusses how the library profession is approaching virtual worlds, and is designed for library professionals who are considering whether or not to establish a virtual world presence. 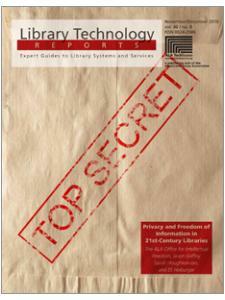 In addition to giving readers a detailed look at the current state of virtual world librarianship, this report also provides a foundation for virtual world knowledge. 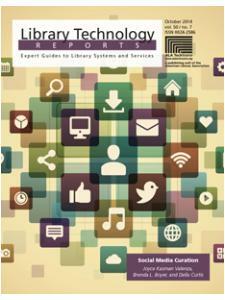 It defines commonly used terms, delineates common problems and concerns about virtual world and explores the different approaches to and applications of virtual worlds for twenty-first-century librarians. Tom Peters began his library career serving as an academic librarian for 16 years at various Midwestern universities and academic library consortia. In 2003 he founded TAP Information Services, a small company that helps organizations innovate. Current TAP Info projects include OPAL, an easy, affordable, accessible Web-conferencing service, and Unabridged, which provides downloadable digital audiobooks for blind and low-vision users in several states. Tom, his wife, their four children, and three dogs live on an acreage nestled between Oak Grove and Grain Valley, Missouri.